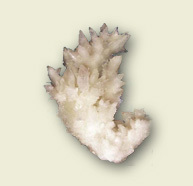 White pigment of limited hiding power, mainly used for painting grounds. Includes other sorts of calcium carbonate whites.) It is stable under ordinary conditions. Word origin: The name "Chalk" comes from Latin calx = lime, limestone; from Greek khalix = pebble.